With Christmas just around the corner, I am reminded how quickly this year has flown by. It’s been a beautiful year, with many unexpected twists and turns. Overall, I remain blessed at the thought that my goal of making 2016 better than ever has stayed true. This has been a year that I have discovered more about myself than I ever thought possible and taken each challenge head on. 2016 has taught me to keep pursuing my dreams no matter how tough it gets. 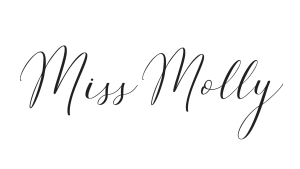 Today I’m sharing with you three ways to take your dreams and create resolutions that will become a reality as well as ten New Year’s looks you can get 20% off of by using my code MISSMOLLY20 at HER. Boutique. Happy New Years! Every New Year’s Eve I think about where I want the year to take me. I set my ambitions high and always expect each year to be better than the next. Did I know at the time that I would endure a year full of hardships unlike I’ve ever expected? No. But I did know that I wanted to make the best out of whatever came my way and that’s exactly what I did. Make it a goal to make 2017 YOUR year and the best year ever. Have a vision full of ideas that will take you there, and if you have bumps along the way (as expected) just go with it! I am one of those people who has big dreams. However, a dream is just a dream if you have no plans to achieve it. Instead of dreaming, start planning. Take your dreams and turn them into goals that will keep you moving forward one day at a time. As you grow, so will your dreams, but never let fear stop you from making them concrete goals! Throw fear out the window and instead of dreaming all the magnificent things you want to do with your life, just do it. You’ve probably been there and so have I. Maybe you’ve made resolutions big or small in the past and not had the follow through to reach the end goal. Me too! There have been many times this year I just wanted to flat out give up, but my goal of making 2016 better than the last was still on the forefront of my mind. Although it definitely wasn’t like I expected, I’ve learned that it usually never is. Don’t give up no matter how you feel and do everything you can to press on in pursuit of your goals. I know I wouldn’t have been able to make it through the year still smiling and feeling better than ever if it weren’t for my amazing friends, blogging community, and family. I’m so thankful for your endless support! Of all the nights in the year you have to dress up in a pretty outfit and an extra big smile on your face, it’s New Year’s Eve. I’ve compiled a list of my top ten favorite outfits from HER. Boutique, because the best part is you can use my code MISSMOLLY20 to get 20% off any of these (I listed the price on their site below, so remember to take an additional 20% off). There’s still time to get it before New Year’s so check out their Holiday Shipping Schedule and make sure you don’t miss these amazing deals! 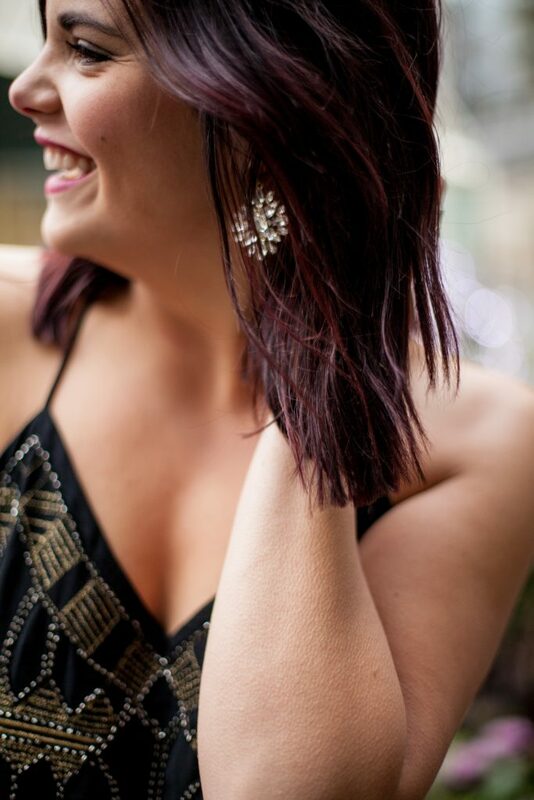 Remember, you can’t go wrong with glitter, gold, sequins, or black, but I know you will stand out no matter what you wear as long as you have that beautiful smile on your face! I’m wearing this gorgeous beaded top from HER. Boutique. Use code MISSMOLLY20 to get 20% off everything at HER. Boutique. This is such a gorgeous look!!!! Loved this post my friend! what a stunning outfit Molly! That embellished top is so glam and your hair colour really looks awesome! I agree that I do have a tenancy to just dream at times and think that it will never be more than just a dream and then give up! My goal in 2017 is absolutely to get things kicked in to high gear on the blog and not give up! So gorgeous babe! I love the beading on that tank top! Love your fabulous outfit, amazing combo as well, thank you for sharing, you look stunning!! !